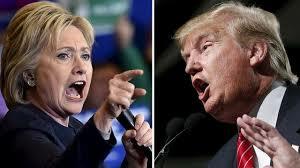 Clinton or Trump - How does it impact salespeople? Expect the economy and your customers to reflect a more aggressive reflection of the new President. If Trump has his way, there will be massive tax cuts for business. This might mean more capital to spend on whatever it is that you sell. If you or your company sells weapons, firearms, survival gear or emergency supplies - boy, are you in for a windfall! If Trump makes good on his foreign policy promises, the country will need more weapons. We may need to defend ourselves. If any of you sell underground bunkers, please call me for an estimate. When it comes to illegal immigration, if Trump builds the wall, and throws out millions of illegals, there may be a big demand for manual labor. Our country has seen a lot of jobs lost to overseas manufacturing. If Trump can reverse this, it may be a salesperson's paradise for labor recruiters across the nation. If you sell retail (clothes, appliances, cars, etc. ), it's hard to predict how a Trump Presidency would impact you. On one hand, the public may spend more, if they are taxed less. On the other hand, Trump has created a great deal of concern over what happens next in our country. This may cause buyers to save as much as possible (they may want to buy anti-radiation pills or a gas mask). One possibility here is that absolutely nothing will change at all. Sales may continue to be either good, bad or indifferent - just like they were during the last eight years under Obama. If Hillary continues to spend money on government programs at the same rate (or faster) than Obama, the US debt will be at an all time high. This means we may be in another economic bubble. One small interest rate by the feds may tailspin this country right back into another recession. If that happens, life is not good for salespeople (but good for lawyers). It will be interesting to see Hillary's "Debt-Free College" program. Somebody will be paying those schools to teach. This likely means the US Community College system in America will be asked to step up. Unfortunately, our Community Colleges are some of the most challenged schools in the country, many of them suffering from huge debt and inadequate funding. Those salespeople selling college admissions or selling to colleges or universities may be sitting well, if Uncle Sam begins funding these schools. If Hillary takes the White House, it may mimic what her husband's tenure looked like for salespeople - which was a general, steady increase in household income. Maybe the upper class will save more, but the middle class will continue buying cars, insurance, and houses. Take a look at what it is that you sell. Would it be better with Trump or Clinton? You decide.